Vietnam representative office for foreign company. Q: Before setting up the Representative Office (RO), can investor register their trademark in Vietnam? A: Yes, they can register the trademark under the name of foreign company with Vietnam National Office of Intellectual Property (NOIP). A: Once the company name is duly registered, no one can register the same name in the province or city. However, the brand name shall be protected in whole of territory of Vietnam if foreign investor register it as a trademark at NOIP. Q: Please advise the cost of registering the trademark and the required documents? A: Our fee for registration of Trademark in Vietnam is 200USD for one trademark with one class with 06 goods/services items. The fee is exclusive of 5% VAT. v) Number Application and filing date of the basic application if a convention priority is claimed. Q: Can RO employ Vietnamese local employee and a foreigner? Is there any limitation of no people of RO can employ? Is there any minimum wage imposition? A: There is no limitation of people a RO can employ. The minimum wage in Vietnam is 2,350,000VND (about 120USD)/01 month. Q: RO can be fully owned by a foreign company? Or does it require minimum ownership of Vietnamese? A: Under Vietnam Law about RO, RO is owned by foreign company. 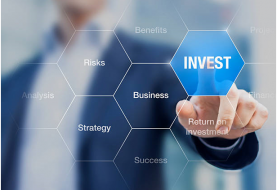 If investor would like to set up a Foreign Invested Company in Vietnam, investor can either setup wholly foreign invested company or Joint Venture Company. In several fields such as tourism, telecommunication, logistic etc, if investor wish to setup a company in Vietnam, he must co-operate with a local Partner. Q: Is there any restriction in the name of a RO? How does it usually name? A: Name of a representative office shall be as “Representative office of ********* in ******”. 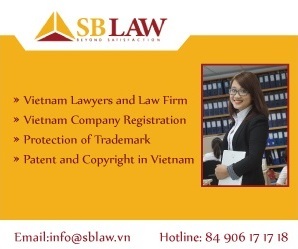 For example, name of Representative Office of S&B Law in Vietnam shall be “Representative Office of S&B Law in Vietnam”. If investor wish to setup a company in Vietnam, he shall register it as “S&B Law Company Limited” or “S&B Law Joint Stock Company” etc. Q: Is there any minimum pay up capital for RO? Must it be paid full at one time? A: Investor does not need to pay up capital for RO. 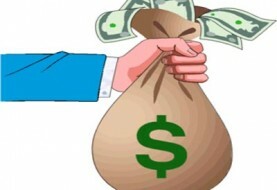 With a respect to a company in Vietnam, generally, Vietnam Law does not impose the minimum Capital to be paid up, except for several fields such as banking, real estate, training, tourism etc. Q: When a RO is set up, what are the license given to the RO? A: “License for establishment of Representative Office” if investor wish to setup Representative Office and “Investment Certificate” if you wish to setup a company in Vietnam. Q: The license is valid for 5 years and will be extended up application.What is the approval process of the extension? Any requirement? A: Investor shall submit the application dossier to the Licensing Authority for the extension. It shall take you about 10 working days to complete the extension process. Investor can obtain the approval if he could provide sufficient documents proving that he have fulfilled necessary obligations to Vietnam competent authority. A: It takes 10 working days from submission of documents to the licensing authority. Q: How long can it be extended, another 5 years? A: Yes, RO will be extended for another of 5 years. Q: What is the cost of the extension? A:Please contact us for more information. Q: How many time can it be extended? A: Vietnam Law on RO does not impose limitation of number of extension. Q: As a RO, investor cannot issue any invoice. In this case there will be no income. There will be no corporate tax? Q:Does investor still need to submit annual financial report? Must the annual financial report be audited? A: Not annual financial report is required by Vietnam Authority. He only needs a report on operation of the RO only. This does not require for auditQ:Is there a fixed financial period in Vietnam or investor can decide his own financial year? A: It is fixed under the tax law in Vietnam. Fiscal year in Vietnam is from 1st January to 31st December every year. Q:If in the event if a RO is closed down, can investor remit the balance of the money back to foreign country? A: Yes. It is possible. Q: Must RO holds annual meeting and submit any report? A: No annual meeting required under the law. Investor only submit the report on operation of the RO only. 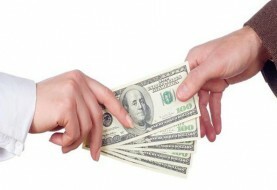 Q:What is the cost of converting a RO to a full pledge company? A:There is no procedure for converting a RO to a Company. Investor must close the RO first and open the Company later. Q: Can a foreign company own 100% of a full pledge office? Any difference if 100% foreign own and join with Vietnamese? A: In some field investment, for example logistic, tourist, investor must co-operate with a local partner to setup a company. There is no difference between 100% foreign own and join with Vietnamese. Q:What is the minimum pay up capital? A:Please provide us the investment field, we will provide the exact information. Q:What is the corporate tax in Vietnam? A: 25% of taxable profit will be applied. Q:What is the validity of the full pledge license and what is the process and cost of extension? A:Term of License shall be determined by the Licensing Authority. Generally, it shall be from 5 years to 30 years in the field of services. If invesotr register with large amount of charter capital, he can earn a License with long term of validity. It shall take about 45 working days from submission of documents application dossier to Licensing Authority to complete the extension. Cost extension will be discussed further.